In general, one of the challenges we consistently hear is that admins and IT teams are having trouble finding a reason to prioritize the Lightning Experience transition. The reality is that if you are still building customizations in Salesforce Classic, then you are generating technical debt that you are eventually going to need to clean up when you finally transition to Lightning. Additionally, there is a significant ROI delivered by the hundreds of only in Lightning Experience features – an ROI you can assess for yourself by taking the Lightning Business Assessment. 1. Big Bang: My company has a relatively lower complexity instance of Salesforce or a strong compelling event coming up and I need to get all my teams over to Lightning Experience by an important company milestone. Common milestones include things like the start of a new fiscal year, a new sales kick off, launch of a new product, or launch of some new corporate initiative on which you want the whole company focused. This is a common rollout scenario we frequently see for customers with either lower complexity use cases or with a strong compelling event that they are driving towards. 2. Phased, by Team: My company has a large Salesforce user base or many custom profiles with lots of specific customizations that I need to take into account. It doesn’t make sense for my team to drop everything and get the whole company rallied around Lightning Experience at once. It’s better for us to pick one or two departments and find some quick wins that we can build on. By and large this is the most common method for rolling out Lightning Experience for customers with more complex implementations. In fact, it is how we here at Salesforce rolled it out ourselves. The great thing about this approach is that as the pilot teams begin using Lightning Experience and talking about it with their peers, those that don’t have it yet see how much more modern and efficient it is and start clamoring for it, which helps drive adoption. 3. New Org:My company is looking at a major process re-optimization. We are shifting our business model, or have recently gone through a major merger or acquisition, and we need to rethink how we go-to-market and the data we provide to our marketing, distribution and support teams. This approach is the least common of the ones we see, but if you are reimagining how you take your company to market, and rebuilding business processes from the ground up, it can be a good one to consider. 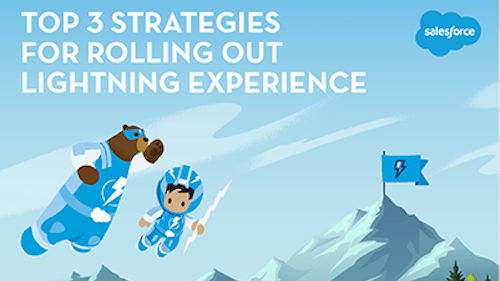 Many customers have championed the move to Lightning Experience and are eager to share the benefits they’ve seen since making the switch. These customers have graciously made themselves available to you to answer any questions you may have from the technical preparation to change management. You can reach out to them by joining the Lightning Now community and posting your questions in the feed. There is also a webpage where you can learn more about some of our Lightning Champions and reach out to them directly. We have built a series of adoption tools to help you make the move to Lightning as easy as possible. These tools include the Lightning Experience Readiness Check, Visualforce Check, Salesforce Optimizer, Configuration Converter, and Adoption Tracker. 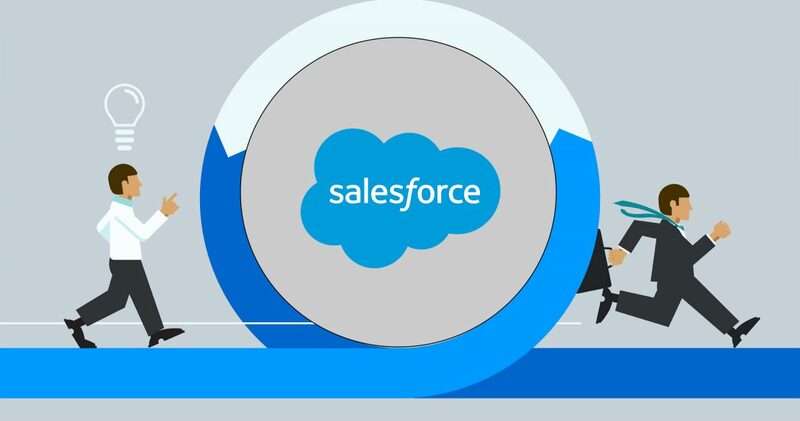 Accelerators are one-on-one, collaborative working sessions with Salesforce Specialists, focused on helping you solve very specific business challenges – without requiring a lengthy scope of work or major time commitment. Our extensive Accelerator catalog (over 150 currently available!) has something for every role, every budget, and every Cloud. And we’re constantly adding new ones to help you solve issues without taxing your internal teams.